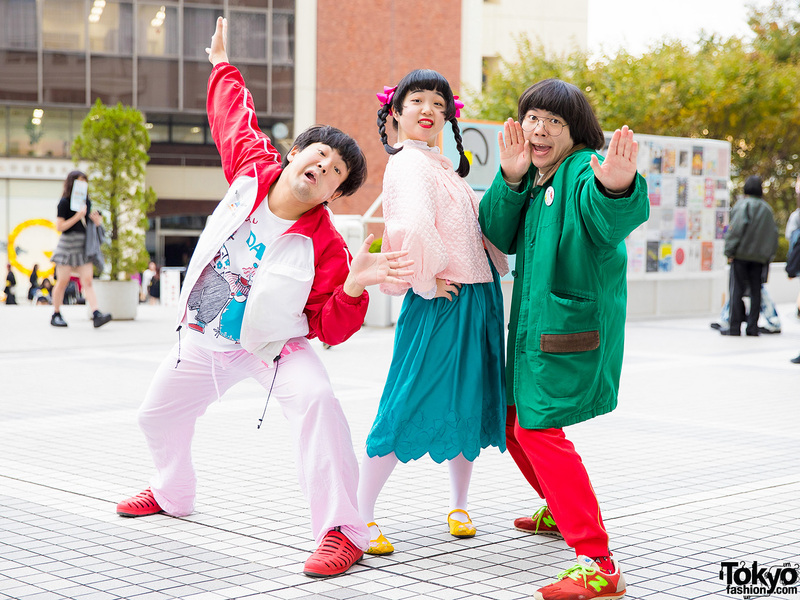 Japanese entertainers in colorful outfits with red jacket over t-shirt, drawstring pants, rubber slip ons, pink quilted jacket, satin skirt, embroidered flats, a green jacket, red pants & red sneakers. 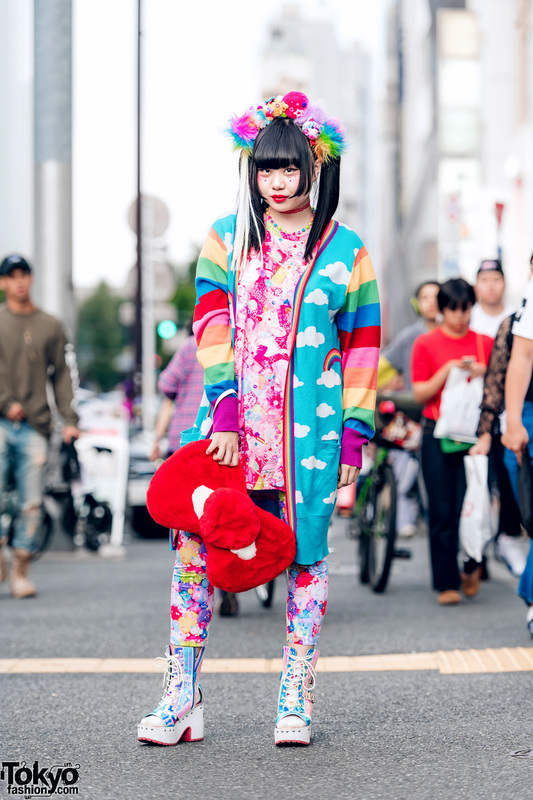 Harajuku guy wearing oversized fuzzy sweater over collar shirt and ruffle skirt w/ asymmetric hem, platform snakeskin boots, sunglasses and Hello Kitty neck wallet. 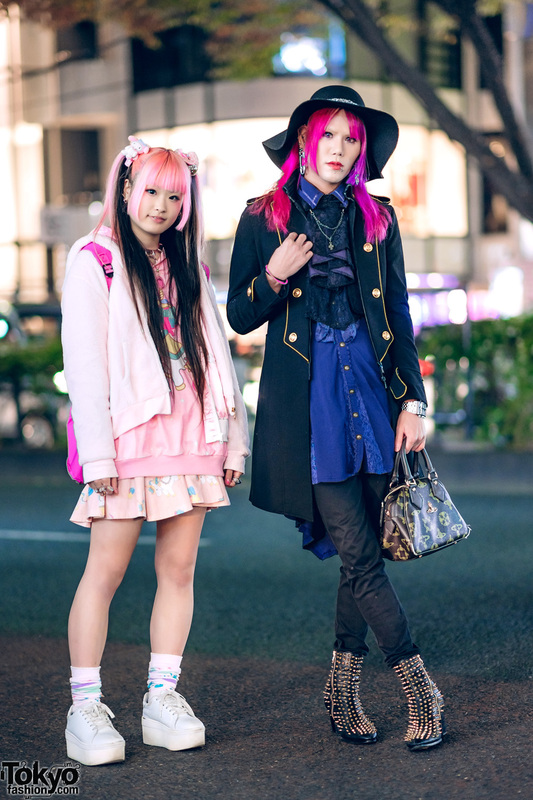 Harajuku girl wearing a pastel look featuring a sheer skirt, embroidered shoes, bucket bag, and Hello Kitty.